Determining the reliability of manufactured items often requires performing a life test and analyzing observed times to failure. Such data is frequently censored, in that some items being tested may not have failed when the life data analysis test is ended. In addition, it may be necessary to accelerate failure times by changing the value of an influential variable such as temperature using failure analysis tools. For all of these reasons, special failure analysis tools are needed to deal with this type of data. In life data analysis, interest commonly centers on estimating the probability that a unit will still be operating at any given time. 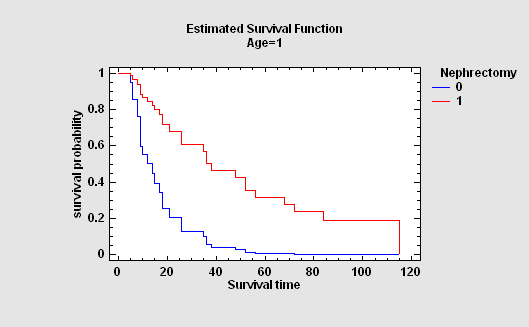 A common way of estimating this survival function, without making any assumption about functional form or error distribution, is to tabulate the data and calculate the survivor function directly from the observed failures using failure analysis tools. When censoring is present, the estimates are calculated using the Kaplan-Meier approach. If sufficient data is available, it may be possible, using the right failure analysis tools, to fit a specific distribution to the failure times. Maximum likelihood methods can be easily adapted to the presence of censored data. 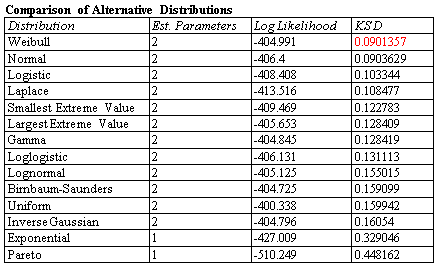 STATGRAPHICS will automatically fit up to 45 probability distributions for any sample of data during life data analysis and rank them according to goodness-of-fit. Experience has shown that data from life data analysis can often be well modeled by a Weibull distribution. 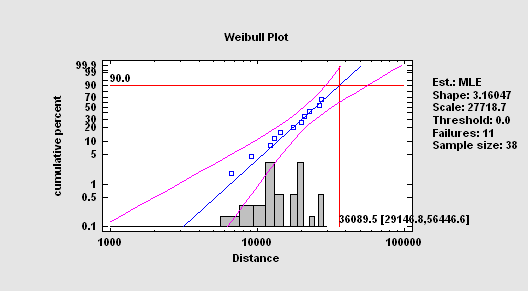 A common method to check the fit of a Weibull distribution is through a Weibull plot. Uncensored failure times should fall approximately along a straight line. 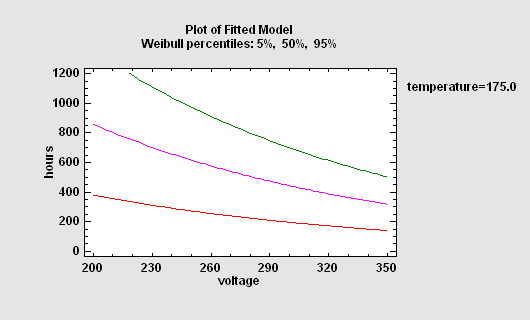 With STATGRAPHICS failure analysis tools, you may add a histogram of censored failure times and confidence limits for failure percentiles to the Weibull Plot. When failures do not occur often enough under normal operating conditions, it is necessary to accelerate the failures by increasing the stress caused by one or more variables. A very common accelerant is temperature. 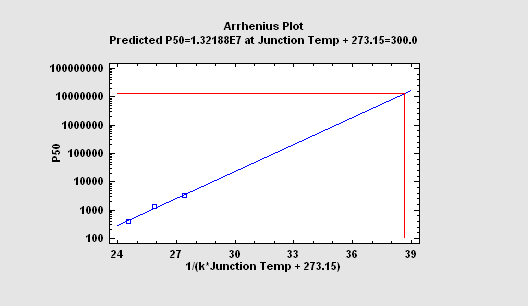 By analyzing failure rates at high temperatures and fitting an Arrhenius model, it is often possible to extrapolate the data back to a normal operating temperature (usually expressed in Kelvin). 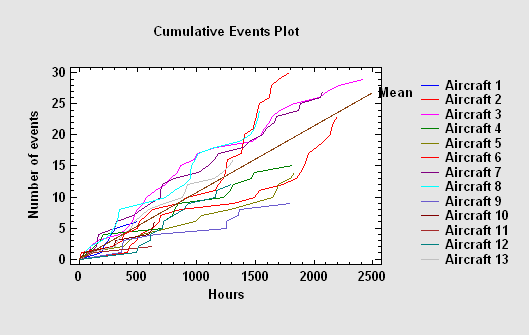 To describe the impact of external variables on failure times, regression models may be fit. Unfortunately, standard least squares techniques do not work well for two reasons: the data are often censored, and the failure time distribution is rarely Gaussian. For this reason, STATGRAPHICS provides a special procedure along with its failure analysis tools that will fit life data regression models with censoring, assuming either an exponential, extreme value, logistic, loglogistic, lognormal, normal or Weibull distribution. The Cox Proportional Hazards procedure is an alternative method for fitting a life data regression without assuming any specific distributional form. Instead, it is assumed that the predictor variables affect the hazard function in a multiplicative manner. Like the parametric life data regression procedure, the predictor variables can be either quantitative or categorical. The Repairable Systems procedures are designed to analyze data consisting of failure times from systems that can be repaired. It is assumed that when the system fails, it is immediately repaired and placed in service again. Further, it is assumed that the repair time is negligible compared to the time between failures. 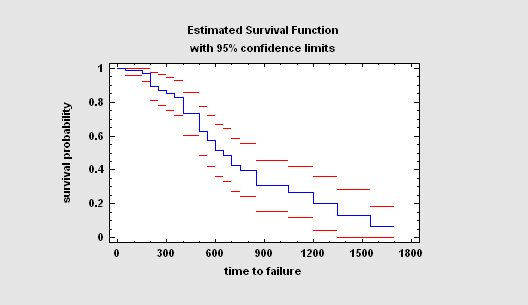 The goal of the analysis is to develop a model that can be used to estimate failure rates or quantities such as the MTBF (mean time between failures). This life data analysis procedure differs from the Distribution Fitting and Weibull Analysis procedures in that it allows for a failure rate that changes as the system ages. This procedure creates test plans to demonstrate that a failure time distribution satisfies stated conditions. For example, it may be desired to show with 95% confidence that the reliability of a product equals or exceeds 90% at the end of the warranty period. 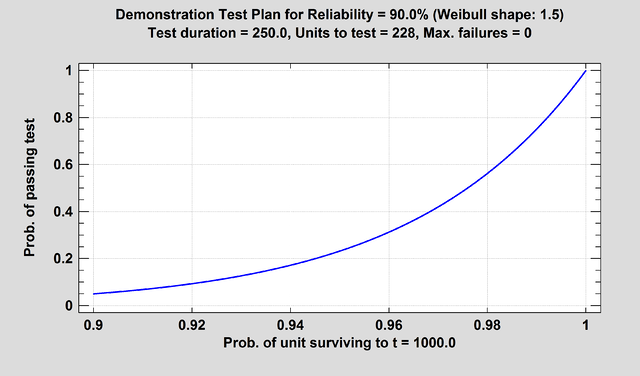 During the demonstration, n units will be tested for a duration equal to t. The demonstration will be considered successful if no more than f units fail during the test.